As the European Commission paves the way for open access, a consistent policy environment is needed across the EU. by Blog Admin • October 22, 2013 • Comments Off on As the European Commission paves the way for open access, a consistent policy environment is needed across the EU. The European Commission has extended and solidified its open access policy for the upcoming Horizon 2020 research funding programme. Alma Swan welcomes the clear signal from Brussels which has issued a Recommendation for Member States to follow its lead. But the policy picture across the Union is patchy and there is a need for a simple, consistent set of requirements to create a harmonised research environment across the EU. From the perspective of the UK, it may seem that Open Access policy development is caught in a whirlpool and, indeed, within the UK it is. But elsewhere in Europe the landscape is relatively uncomplicated and the signposts are clear. In July 2012, the European Commission released two documents. One was an official Communication, an expression of its own policy intent. It stated that there would be a mandatory Open Access policy covering all areas of research funded under the Horizon 2020 programme. 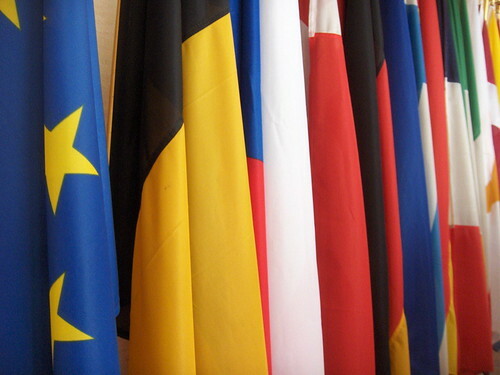 Horizon 2020 (H2020) is the next European research funding programme and will run from January 2014 to December 2020. The announcement represented a significant step forward in Open Access policy in Europe. Though the Commission, through the H2020 programme, will be funding only around 9% of all publicly-funded research carried out in the European Union through those years – the rest being funded at Member State level – EU policy can act as an example to Member States. And to emphasise that, the second document released on that day in July 2012 was the Recommendation on access to and preservation of scientific information. A Recommendation from the Commission is a strong indicator: the Commission wishes to see all publicly funded research in the EU made openly available and in this document it is signalling to Member States that it expects them to follow its own example. Only one thing is stronger than a Recommendation, and that is a Directive: the Commission may issue a Directive if it sees insufficient movement at Member State level on Open Access policy, and the next couple of years will show whether this is necessary or not. What is the Commission’s own example, then? At the moment, as we head towards the end of the current framework programme (called, less exotically than the coming one, FP7), there is a mini Open Access policy, which the Commission calls a ‘pilot’, in place. It covers 20% of the currently funded research (7 particular disciplinary areas) and requires grant-holders to make their ‘best efforts’ to deposit each article they produce in their local institutional repository. The permissible embargoes are 6 months for STEM disciplines and 12 months for HASS. In addition, grant-holders may use grant funds to pay for Gold Open Access publication charges. This puts the purchase decision where it should be – at author level – and will eventually help improve the current dysfunctional scholarly publishing marketplace. The new policy for Horizon 2020 will cover 100% of funded research, drops the ‘best efforts’ language and simply requires authors to make their articles Open Access, keeps the same permitted embargo times and the eligibility of grant funds for the payment of Gold publication costs, and adds – rather daringly – an ‘Open Data pilot’. The Commission has also invested in a mechanism to bring together the outputs from the research it funds and present them in one collection. This piece of infrastructure is OpenAIRE, which harvests Commission-funded articles from the institutional repositories in which they have been deposited and provides a search interface through which they can be accessed. Of course, web search engines will also locate these articles and take potential users directly to them: OpenAIRE is simply providing a European ‘shop window’ for those who wish to restrict their searches to European research. And we can anticipate that in future, as OpenAIRE fills with documents, it will become a useful analytical tool for all of us, including the Commission. OpenAIRE also accepts direct deposits, catering for those authors whose institutions do not yet have an Open Access repository. That, then, is the policy situation in Brussels. The policy picture outside, across the Union, is patchy, hence the Commission’s Recommendation to Member States. To start at the top, and with the boldest, the European Research Council has an Open Access policy with a 6-month permitted embargo on all disciplinary areas and covering primary data. There are a further 36 research funder policies in place in Europe and murmurings of intent from more. Not all of the 36 policies are from national research councils: most are from charities and other funding bodies, with 12 from national research funders (2 in each of Belgium and Sweden). That still leaves at least 16 national policies to be made and implemented. Science Europe, the umbrella body for national research funders, has issued a position paper emphasising OA policy development as a priority. The really important thing now is to try to achieve policy alignment. If policies match, researchers whose work is funded by two or more funders, or who work in interdisciplinary teams where funding may come from different sources at different times, will find themselves subject to a simple, consistent set of requirements. This is critical in maximising compliance and is especially significant when one of the thrusts of European public policy is to create a harmonised working environment across the EU and thus encourage mobility of workers, including amongst those in the research community. Almost all extant European funder OA policies look very similar or are identical to the one for H2020 – a Green OA mandate, and permission to use grant funds to pay for Gold OA. Many people will be working to ensure any new policies follow this pattern. The significant outlier is the UK’s current policy, but that may change. Anyway, it is but one of the 28 policies we hope to see across the EU before many more years elapse. There is much work ahead to build a coherent, aligned OA policy environment in Europe, but the signs are good. This post is part of a wider collection on Open Access Perspectives in the Humanities and Social Sciences (#HSSOA) and is cross-posted at SAGE Connection. We will be featuring new posts from the collection each day leading up to the Open Access Futures in the Humanities and Social Sciences conference on the 24th October, with a full electronic version to be made openly available then. Note: This article gives the views of the author, and not the position of the Impact of Social Science blog, nor of the London School of Economics. Please review our Comments Policy if you have any concerns on posting a comment below. Alma Swan is a consultant working in the field of scholarly communication and is Director of European Advocacy for the Scholarly Publishing and Academic Resources Coalition (SPARC). This is a syndicated post. Read the original at Impact of Social Sciences 2013-10-22.